To close out the summer season. 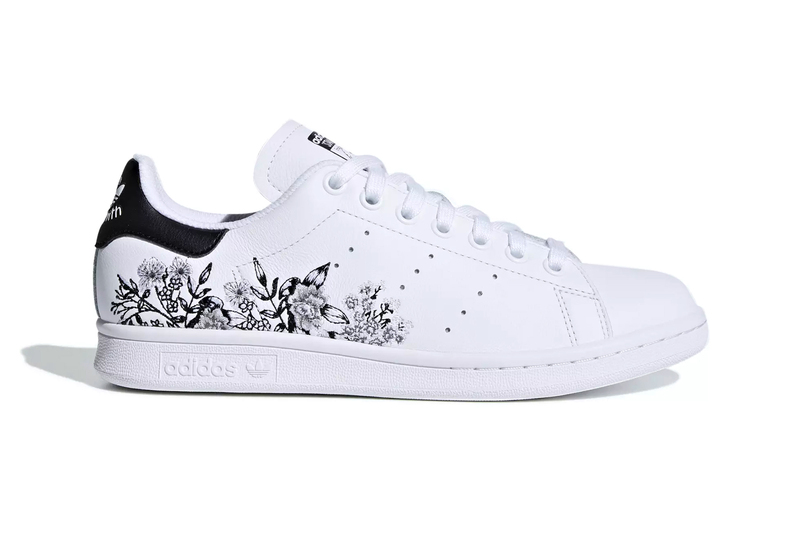 While not new to the Stan Smith model by any means, adidas has recently dropped two new floral-adorned renditions of the signature sneaker, prime to close out the summer season in. Last spotted in a clean black palette with colorful flower embroidery emblazoned on the tongue, we now take a look at a pair of white models. One spotlights a floret bouquet in a lively multi-toned hue with metallic gold branding found on the tongue and heel, while the other highlights a different bouquet pattern in black with matching-hued branding doing well to accent the tongue and heel. Both versions take on premium leather uppers with adidas-embossed emblems resting on a tonal white midsole. Although the multicolored release has already sold out, the white/black silhouette is available to cop now online for a price of $95 USD. In other sneaker news, Nike dropped a new Sprite-themed Epic React colorway.